Port industry veteran Don Allee will assume control of the Port’s Cruise and Tourism Division in January, following the retirement of current Director J. Robert Jumonville. Allee comes to New Orleans with nearly 30 years of port industry experience, recently serving as executive director and CEO of the Mississippi State Port Authority from 2002 to 2012 and later as a consultant for PLG Consulting, providing services to port and terminal operators. 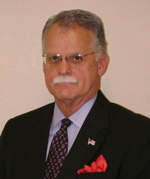 In addition to his tenure in Mississippi, Allee served as the executive director of the Port of Beaumont (Texas) from 2000 to 2002 and worked in marketing and trade development for the Port of Freeport (Texas) and the Port of Houston Authority. Aranui Cruises, operator of the Aranui 3 mixed passenger-cargo vessel in French Polynesia, recently announced that Rani Chaves has joined the Arauni Cruises team as the new business development manager for North America. Chaves brings a wealth of experience and expertise to Aranui Cruises, serving more than 14 years as a cruise and tourism industry professional in Tahiti and throughout the world. Occidental Hotels & Resorts is pleased to announce the appointment of Teresa Alfonso to general manager of the all-inclusive, oceanfront resort Occidental Grand Nuevo Vallarta, located in the Vallarta Nayarit region of Mexico. Alfonso has spent over a decade with Occidental Hotels & Resorts team, previously managing a variety of esteemed properties throughout Mexico. During her tenure with Occidental Hotels & Resorts, Alfonso has played a key role in continuing to grow the brand and was directly involved with the development of the luxury Royal Hideaway Playacar. Casa de Campo, 7,000-acre luxury resort in La Romana, Dominican Republic, and parent company, Central Romana Corporation Ltd., are thrilled to announce the appointment of Rafael Torres as president of Casa de Campo. Torres has more than 20 years of experience in the hotel business and holds a Bachelor’s degree in Hospitality Management and Administration from the University of Madrid. In recent years, he served in senior positions such as general manager at Meliá Hotels International in several countries including Spain, Italy, Cuba and Dominican Republic. Most recently, he excelled as managing director at Paradisus Resorts in the Dominican Republic (operated by Meliá Hotels International), where he oversaw the entire collection of four different properties (totaling 1,500 luxury suites) and worked on new projects with Paradisus Palma Real and Paradisus Punta Cana resorts, achieving valuable results for the entire corporation of Meliá Hotels International. Kensington Tours is pleased to announce the appointment of Michael Gregurich to the position of director of sales, Midwest and Affinity Channel. Gregurich will work closely with Kensington’s travel agent accounts and partners in the Midwest to continue building on impressive growth over the past several years. In addition, Gregurich will leverage his affinity travel experience to develop premium and luxury affinity business with agencies looking for new ideas and exclusive options. 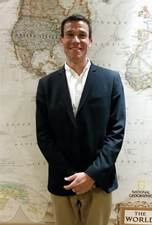 Prior to joining Kensington Tours, Gregurich held leadership roles with numerous luxury travel brands including Vice President of Sales – North America for Sanctuary Retreats /Abercrombie & Kent, Manager of SIG’s & MICE Travel for Abercrombie & Kent Southern Africa and as a Director at Silversea Cruises. Island Air is pleased to announce the promotion of Cory Kohler, and the appointments of Frank Fenlon and William “Dee” Airman to director positions. These roles expand Island Air’s ability to provide its customers with quality and efficient service. Cory Kohler has been promoted to director of reservations, scheduling, and interline. Kohler has been part of the Island Air family since 2004. She previously worked for Aloha Island Air under former owners Aloha Airgroup as well as its sister company, Aloha Airlines. Kohler will oversee fleet assignment, flight scheduling, and interline partnerships including airline to airline connectivity, and function enhancements. Frank Fenlon has been appointed Island Air’s director of quality assurance and inspection. Fenlon brings to the company more than 20-years of technical experience with all phases of aircraft repair, systems, and programs. Prior to Island Air, Fenlon worked as the senior systems engineer at U.S. Airways and was part of the gap analysis team for the American West/US Airways merger. Most recently, Fenlon spent six years implementing and managing the maintenance program for all fleets at Hawaiian Airlines. William “Dee” Airman, Island Air’s director of safety and security brings an extensive background in safety and security management to the company. A United States Air Force Academy graduate, Airman served as an Air Force instructor and research pilot for 28 years. Airman also worked for Northwest Airlines as the manager of flight training, was the regulatory compliance manager at Emirates Airlines, and most recently held the position of director of the system operation center at Porter Airlines in Canada. IBEROSTAR Hotels & Resorts recently announced the appointment of Laura Molano as chief marketing officer of GRUPO IBEROSTAR. As the global head of marketing, Molano will lead the marketing strategy for all divisions with a focus on customers, while spearheading marketing plans and budgets for 100 hotels across 16 destinations.With over 10 years of experience in the fashion, and tourism industry, Molano was formerly the Chief Marketing and Commercial Officer of IBEROSTATE, the real estate division of GRUPO IBEROSTAR. Among her goals in this new role is to further the position of GRUPO IBEROSTAR and its various divisions as a leader in the tourism industry. To achieve this, Molano will manage the global marketing structure of GRUPO IBEROSTAR, which operates regional offices in the Caribbean, USA, Europe, Canada, Northern Africa and southern South America. Alsol Hotels & Resorts appoints Richard Rodriguez as vice president of sales and marketing and Theresa Calcos as special events director for the Cancun-based hotel and resort operator. As vice president of sales and marketing, Rodriguez will oversee the company’s tour operator accounts in the U.S. and Canada for the entire brand, which includes five-star properties Sanctuary Cap Cana by Alsol, Alsol Luxury Village and Alsol del Mar in the exclusive community of Cap Cana, All Ritmo Cancun Resort and Waterpark in Cancun, and the soon-to-open Alsol Tiara collection. Rodriguez has specialized in sales and marketing for more than 30 years and has held positions with luxury hotels across the United States, including Conrad Hotels, Karisma Hotels and Resorts and Occidental Hotels & Resorts. Calcos joins Alsol with almost 20 years of experience in marketing, product development, promotion and special event group planning, specifically in the destination events travel market. A native of Ontario, Canada, Calcos most recently used her skillset to open her own business, Theresa Calcos Events. She previously spent five years as the destination romance manager for North America and Central America for Sol Melia - Paradisus Resorts, where she was an integral part of the development and success of its wedding program. European Waterways announced that it has signed an agreement with Debbie Petermann, former owner of self-drive boating holiday company Le Boat, to help enhance the company’s customer services initiatives in the U.S.
As an owner of Le Boat, Debbie was a pioneer in selling hotel barge cruises to the American market. The company later became better known for its self-drive boating vacations after it was sold. 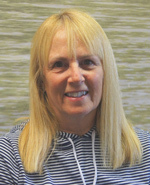 Based in Clearwater, Florida, Debbie will assist European Waterways’ U.S. agents and clients with their inquiries. 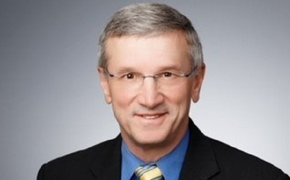 Mark Kammerer has been named vice president, international marketing and sales for Holland America Line and Seabourn. In this role, he will be responsible for the companies’ sales offices in the U.K., the Netherlands and Australia, as well as Holland America Line and Seabourn’s growing international business. In his previous positions at Holland America Line, Kammerer was responsible for marketing and North American sales, as well as worldwide cruise marketing. Prior to joining the cruise line, Kammerer worked at several leading travel industry organizations including Virtuoso and Expedia Inc.
Joe Slattery has been promoted to the position of senior vice president, global marketing and sales for Holland America Line. In this newly created role, Slattery will oversee marketing and distribution in all worldwide markets, developing and executing initiatives that support Holland America Line’s revenue growth objectives. 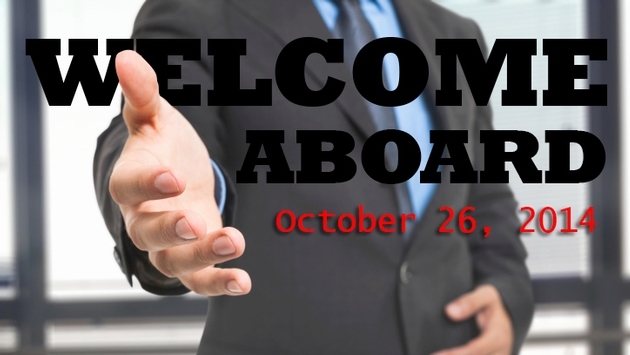 Since 2008, Slattery has been Holland America Line’s vice president, international sales and marketing. Since joining the company in 1993 as a marketing product manager, Slattery has accumulated a wide range of experience in multiple executive roles, including vice president, revenue planning, and vice president, revenue marketing, where he was responsible for deployment and itinerary planning, revenue management and direct marketing. 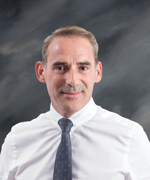 Outrigger Enterprises Group is pleased to announce the appointment of Pascal Billon as general manager of the Outrigger Konotta Maldives Resort, slated to open in mid 2015. Billon joined the company on Oct. 6 and reports to William Visser, vice president operations, Asia Pacific. He will work from Outrigger's Asia Pacific Corporate Office in Phuket while the Outrigger Konotta Maldives Resort undergoes renovation. A versatile and accomplished senior hotel professional, Billon was most recently general manager of the five-star Lily Beach Resort & Spa in the Maldives. Prior, he was CEO for Baltic Management Hospitality in Russia, a company created by a Russian entrepreneur who developed a number of luxury resorts in Russia under the Starwood brand. Billon was opening GM for Starwood Hotels, Russia, and has also been operations manager for Dolce Frégate Provence, Dolce Chantilly near Paris and Dolce Sitges in Spain.